Nick and I have made a somewhat crazy decision considering we will be getting married in 4 months. We decided to sell our condo. The time is right for house hunting, the spring market means a lot of new inventory and prices are still relatively low. Of course, before we can settle into our dream home we have sell our condo. Now that the place is officially listed is making me a bit nostalgic. This will always be the first home we ever owned and I'm going to miss it. I decided to pull together a home tour so you can see how our condo has progressed over the past almost 5 years. I'm going to break this post up into a few otherwise it would be really long. Let's start with the living room. 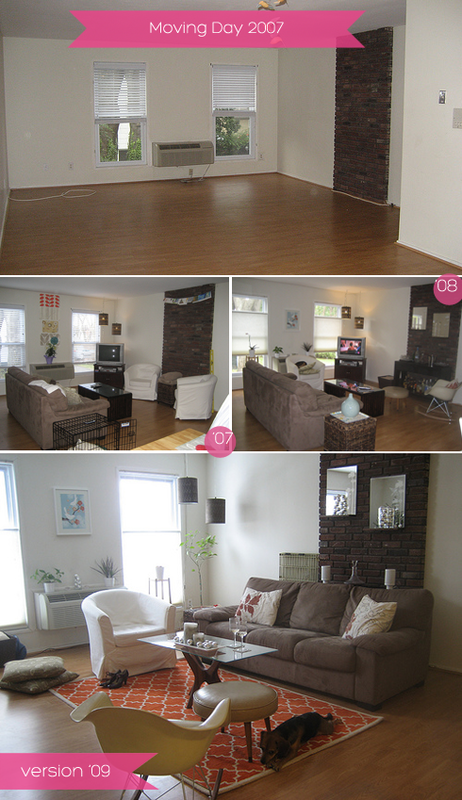 Our living room and dining room are actually one large space. It's nice to have so much space for entertaining but it took me a long time to settle on a furniture arrangement that filled the room well. I moved around furniture often. Much more often then you can see in these photos. I thought I would spare you the less than successful arrangements. 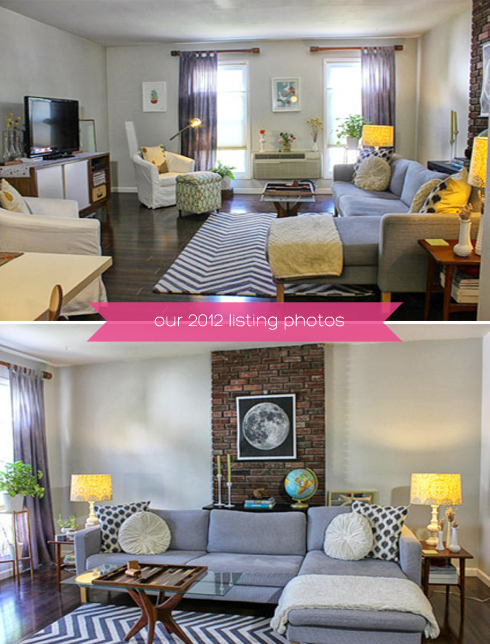 Here are the photos of the living room from our listing that were taken two weeks ago. Surprisingly the house still looks exactly like this. I feel like I've been cleaning non-stop. Selling your home is hard work. 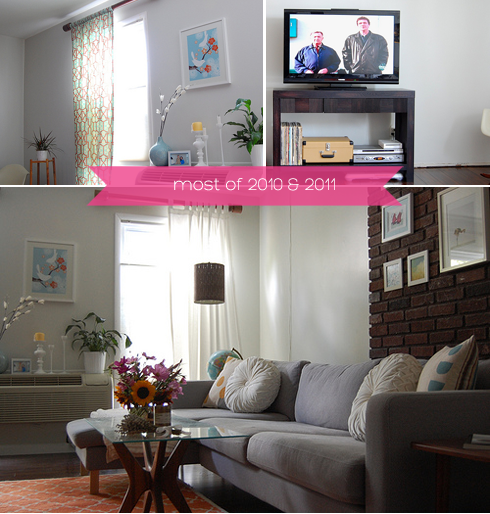 I've taken a lot of pictures and rearranged a lot of furniture in past 5 years. Stay tuned there is much more to come. You have made such a transformation,really well done! I like very much the spirit the room has and all the details especially the carpet. Such a transformation! Your house is beautiful and I can imagine that you are a little sad to leave it behind. I am sure your next home will be even more beautiful though. Thanks for sharing! Hi, love it! I have the same Karlstad gray couch and struggle to find an accent color that matches. I'm going to have to try navy! Where are your pillows from? I liked your carpet choice so much. Both look very nice. If you have trouble cleaning those you can seek professional help with carpet cleaners thousand oaks. Their service is excellent. wow! i love the style!.. nice place you got! great photos..